How do I clean my Syska ceiling lights? Use a dry micro-fiber cloth to remove any dust settled on the surface of your fixture. Do Syska ceiling lights come with a sensor? Yes, few Syska Ceiling lights come with Motion sensor that enables automatic functioning of lights. The sensors are attached within the products. When someone comes within the range of it, the light automatically turns on and after when there is no movement sometimes later the lights automatically turns of, saves energy. Syska has 12W & 15W ceiling lights with sensor. What is the lifespan of Syska ceiling lights? Syska ceiling lights provide up to 50,000 hours of Burn Time. 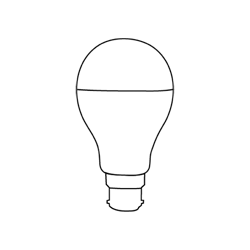 This is around 8-10 times more than an ordinary CFL. Burn Time defines how long (in minutes or hours) a source of light will produce a useful amount of light.